Jack Shahine is a freelance Press photographer and managed to capture moments of joy of Syrian women crossing the border while escaping from the IS. On their way, they changed their black robes for a colorful outfit to express their refound sense of freedom. 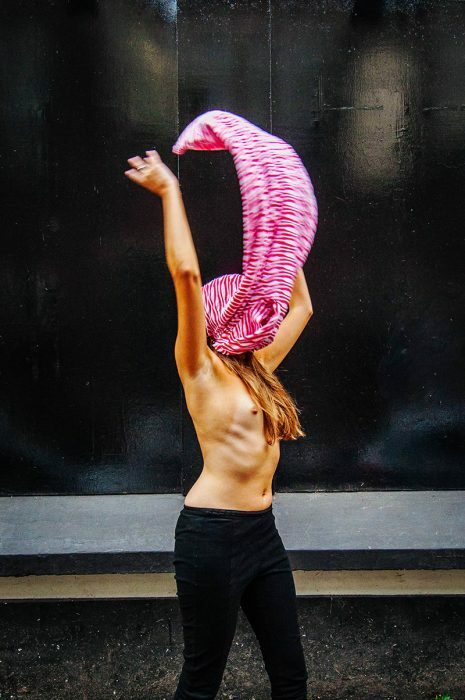 Inspired by this picture I plan a photo series about women who demonstrate their freedom by unveiling their breast. This action first and foremost requires courage. For me its more about the self-consciousness of these women then showing something sexual. Not showing their faces is part of the concept. Because it’s not about the identity behind their bodies but the pure expression of their bodies.